The purps is a hardy strain and low maintenance plant, growers can expect a heavy yield. In the last couple weeks of flowering, the buds produce a great deal of THC, which, in turn, produces a quality smoke. The buds are extremely sticky and fans leafs turning purple as plant ripens. This is ideal for virtually any grower (novice or veteran). 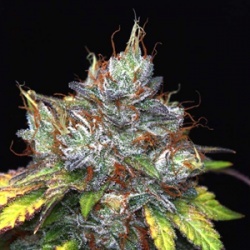 We also carry feminized seeds for the Purps strain..